Singaporeans enjoy plenty of sports as a way to both entertain themselves and get their bodies on the move. It’s not a surprise, then, to know how the city-state plays myriad of sports instead of focusing merely on one. May it be for recreation or for competition, this article will present a list of some of the most famous sports played in Singapore. 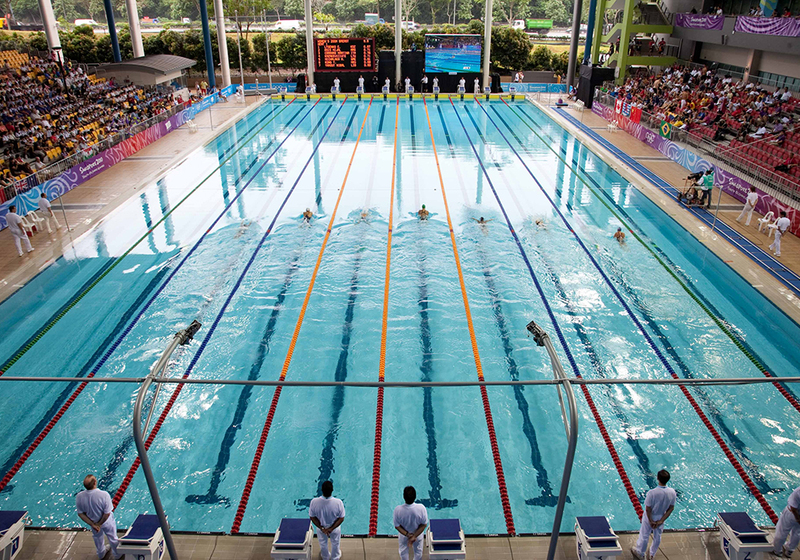 A lot of Singaporeans are invested in water-related endeavors, with swimming being one of the most notable activities. The country boasts of numerous awards and recognition in various swimming events such as the 2008 Summer Olympics and the Asian Games. It bears testament to the fact that a lot of Singaporeans possess an innate talent in swimming. Singaporeans truly enjoy their fair share of water sports. It is through the players’ inclination to water-related activities that they have successfully established their skill and talent when it comes to sailing. They have also represented the country in a number of national and overseas sailing events such as the Youth Sailing World Championships and the SEA games. Bodybuilding has rose to fame in Singapore over the last few years. With that, it has garnered ample attention and interest from a number of people. The sport has also won awards for the country; specifically at the Busan Asian Games, Asian Women’s bodybuilding Championships, and the World Bodybuilding Championships as well. When it comes to the most popular sports played nationally, Basketball is deemed as one of the answer. Sectors, such as the Basketball Association of Singapore and the ActiveSG Basketball Academy, have been very keen on promoting the sport throughout the mainland since the early years of its inception. Their efforts have trained notable players, regardless. Singaporean basketball players have gained awards as they represented the country during overseas games. Considered as one of the most played sport in Singapore, Badminton remains to be a popular recreational activity which can either be played indoors or even outdoors. When the weather is not suitable for playing the game outdoors, there are various places in the city-state which allow you to play the sport inside the court. Generally, Singapore is renowned for its badminton talents — successfully winning awards in international games such as the Japan Open Singles and the All-England Cup. Table tennis is also one popular indoor game among many Singaporeans. As a matter of fact, there are a number of places scattered across the city-state to accommodate those who want to play and even teach you how to play the sport. National table tennis players also pride Singapore with awards during the Commonwealth Championship games held annually, most especially in singles and mixed doubles events.